7 years & up. Develop a knack to stack! No glue or connectors required -- simply stack wood planks to create buildings, monuments, and geometric forms. It's the ideal activity to help children gain an understanding of balance and proportion, as well as interest in architecture, building, and design. Set includes: 200 pine planks and an idea booklet. PreK & up. 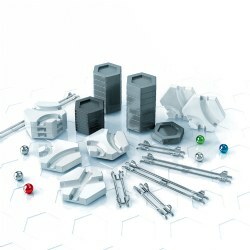 Everything you need to teach the basics of magnets! 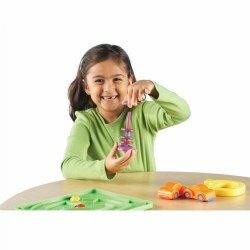 Includes 1 super magnet, 20 magnetic marbles, 4 wand magnets, 1 horseshoe magnet, 1 compass magnet, 1 set of floating ring magnets, and 2 plastic cased magnets. Grades 4 & up. Build all 5 simple machines at once in science centers. Students can construct, examine and explain simple machines to develop a deeper understanding of how they make work easier. 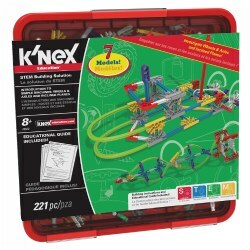 Contains enough pieces to build a lever, pulley, inclined plane, wheel and axle, and wedge all at the same time! 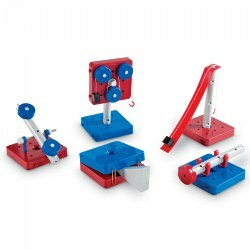 Modify machines with 4 included weights (two 5 g and two 10g), plus 8 included rubber bands to explore effort, force, load, motion and distance. 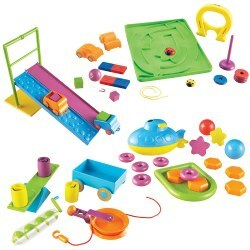 Includes 63 pieces and activity guide. Grades 1 - 6. 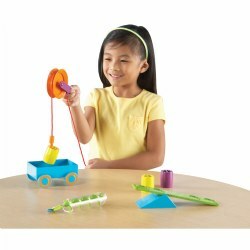 Teach students the science of simple machines. 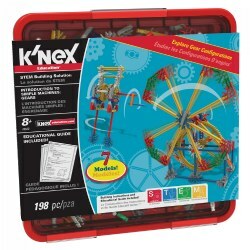 Kit contains four pulleys (two singles, one double and one triple sheave, plus joining pin) and instructional guide with suggested classroom activities. Sting(s) not included. Grades 2 & up. Learning that's right on track! 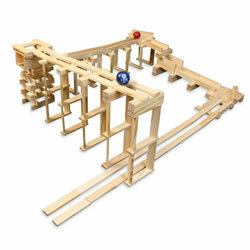 Young thinkers can design unbelievable ball track structures via simple, stacking planks. No glue, no connectors -- just loads of constructive fun! 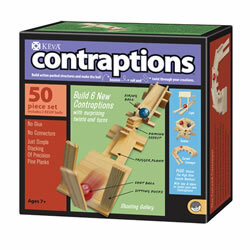 Get things rolling by constructing the "Shooting Gallery", "Turbine", "Step Curve", and more! 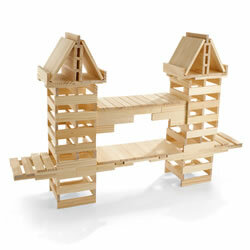 Set includes: 50 pine planks, 2 KEVA® balls, and an idea booklet. Grades 4 & up. 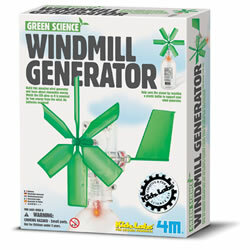 Includes 20 double-sided, write & wipe cards offering nearly 40 hands-on activities and problem-solving opportunities. For small groups or individual students. Wide range of activities for differentiation. Set of 20. Grades 3 & up. Students build explore and experiment with functioning simple machines that demonstrate essential science and technology concepts. This set includes a teaching resource guide, building materials, and a full-color student guide with real-life photos and key facts. 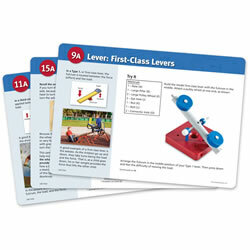 Resource CD includes teaching notes, building instructions, and extension activities. Materials store conveniently in a sturdy, plastic tub with adjustable divider. 221 pieces. Made in the USA. Grades K & up. Get your youngest students engaged in STEM learning! 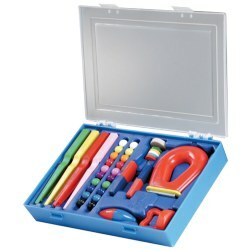 Designed for kindergarten students and older, each set includes all materials needed plus activity cards and a comprehensive teacher's guide. 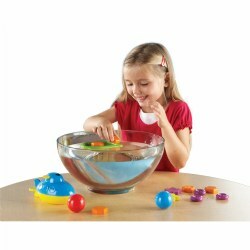 Includes four STEM sets: Force & Motion, Magnets, Simple Machines, and Sink or Float. Grades K - 1. With preprinted game boards, you'll only need to cut and laminate the game pieces! 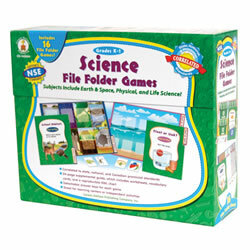 Includes 16 games that cover earth, space, physical, and life sciences--topics that support NSE standards. Grades 4 - 8. 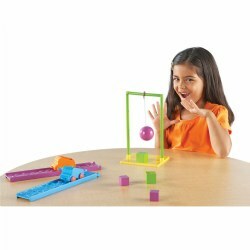 The Pulleys in Motion Class Set provides hands-on activities that give students practical experience with this simple machine. 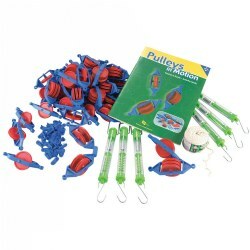 Includes 18 single pulleys, 12 double pulleys, and 12 triple pulleys along with spring scales, twine, pulley links and a 32-page resource guide! 70 pieces total! Grades PreK & up. 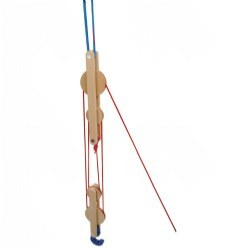 Have fun and learn about the ingenuity of simple machines with this pulley system. 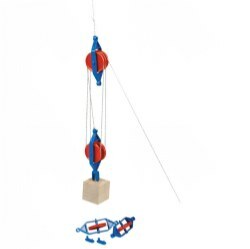 Block and Tackle is equipped with two loose and two fixed reels for the perfect introduction to the ideas of force, weight, and gravity. 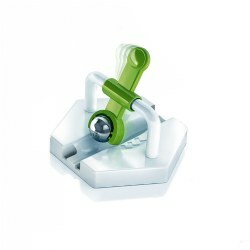 Attach the supplied textile tension belt to a ceiling, tree branch, or staircase rail. Maximum load is 176 lbs. 3 years & up. 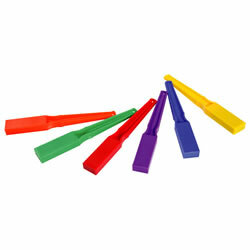 Magnetic wands are a great addition to any science area. Colors will vary. 8 years & up. Experience the power of gravity with the Gravitrax! 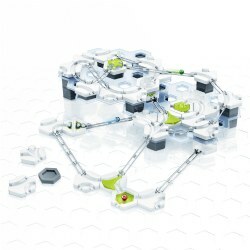 Add the Magnetic Cannon to the Gravitrax Starter Set and launch the marble through your run. 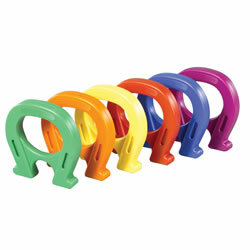 The high-powered magnet gives the marble speed to help extend your run by boosting up inclines and down tracks. Includes: Magnetic Cannon and 3 additional tracks. Gravitrax Starter Set not included. 8 years & up. Experience the power of gravity with the Gravitrax! Keep the fun rolling by sending the marble on more distances and obstacles with the Gravitrax Trax Expansion. Experiment with different combinations of height tiles, tracks, and curves. 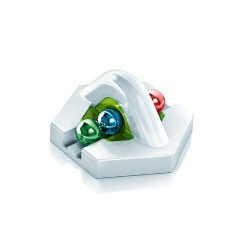 Test yourself to see how long you can keep the marbles rolling before reaching the finish. Includes over 40 elements to extend your track. Gravitrax Starter Set not included. 8 years & up. Experience the power of gravity with the Gravitrax! Add the Gravity Hammer to the Gravitrax Starter Set and send the marble propelling through your course. When triggered, the hammer swings down and hits the marble, giving it momentum to send it on its way. Includes: Hammer and 6 additional tracks. Gravitrax Starter Set not included.